This newspaper is celebrating its 70th anniversary. I have been writing this column every week (with a brief hiatus) for the better part of 53 years of that time. There was three-month period when I left the Review after arguing with its original owner for a raise. He didn’t believe an employee should ever ask for a raise. Raises were granted only at the behest of ownership. I told him he could go “wrap fish with his paper.” I crawled back three months later. He granted the raise of his own volition shortly thereafter. There is something to be said for longevity in an era when almost everything seems so temporary. That sentiment especially applies to the print media. There are people here at the newspaper — more qualified than I — who will no doubt update you on changes being made to assure the Review maintains its vitality. I can only attest to the old adage that the more things change, the more they are the same. During the past half century, I have graduated from a manual to an electric typewriter to my current desktop computer in writing these columns. But the process hasn’t changed. Once a week, I retreat to my back-room office for as long as it takes to write about what is either bothering or amusing me at that particular moment. And I do it in the hope that even if you don’t agree with what I write, you’ll find the column interesting enough to justify the time it takes you to read it. 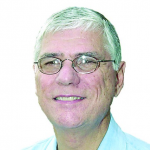 I remain thankful for the service this newspaper performs in the community and to you, dear reader, for spending some of your valuable minutes reading my column all these years. When I first walked into its offices in August 1964, I never envisioned being part of this newspaper for so many years. Early in my time here, as you can correctly infer from my opening paragraph, I had a somewhat tenuous relationship with the owner, Leon Levin. Mr. Levin personified “old school.” We locked horns over political and social issues. The essence of his foreign policy views was if we had just let Gen. Douglas MacArthur drop an atomic bomb on China, most of our problems would’ve been solved. His social views were paternalistic. His personal feuds were legendary. Mr. Levin gave me the opportunity to write this column in the hope that I would reflect his views. He was disappointed when I routinely failed to do so. It is fair to say that through the rest of my association with Mr. Levin and subsequent changes in ownership, I have remained remarkably free to write whatever I please. Are my political views generally more liberal than our community? Yes. Fair enough. But I have tried to be fair. I wrote a column asking President Bill Clinton to resign after the Monica Lewinsky scandal while most liberals were finding excuses for his behavior. Somewhere along the way, I introduced the fictitious character of Uncle Nunzio into my columns. Uncle Nunzi was a mix of several real people in my life. But mainly he reflected the customs and attitudes of my father-in-law Tony Scroccarelli. He loved his modest home at the Jersey Shore. Took the back roads to get there. Stopped along the way to buy vegetables by the bushel. Some of the situations I depicted using Uncle Nunzi were real. Sometimes I used fictional conversations with my imaginary uncle as a way to reflect the tensions between the encroachment of the new world on the old. Before he retired, my friend Brendan at the Review astutely remarked that as I grew older, I became Uncle Nunzi. Many of my most popular columns poked fun at our customs. My wife and I have always lived in South Philadelphia. Our wedding included some typical South Philadelphia Italian customs of the time. I wrote about “the showing of the rooms” the week before the wedding. Aunts and uncles from both sides of the family visited or rather inspected our apartment. The custom dictated that the apartment had to be fully furnished. In our case, my parents purchased a painting — without any input from us — to decorate our empty living room wall. Panic set in just prior to the “showing” because a living room table and lamp hadn’t arrived yet. Mercifully, the tradition has faded into obscurity. In a way, this column became a historical record of our own lives. My series of columns about the lives of my parents, Eleanor and Pete, added to that record. Those stories about my parents were not so much about them as they were about all of us. Who we were. Who we are. In June 1968, I was writing a series of columns satirizing popular political figures. I had just finished writing a humorous column about Bobby Kennedy. Bobby was murdered just before we went to press. Thankfully the column was pulled before it was published. I have used the column for personal catharsis. Both when my wife donated a kidney to me in 2009 and again when I was diagnosed a couple of years ago with colon cancer. I survived. Lucky to have had the privilege of writing this column. Lucky to be part of a great newspaper. Lucky to have you as a reader. 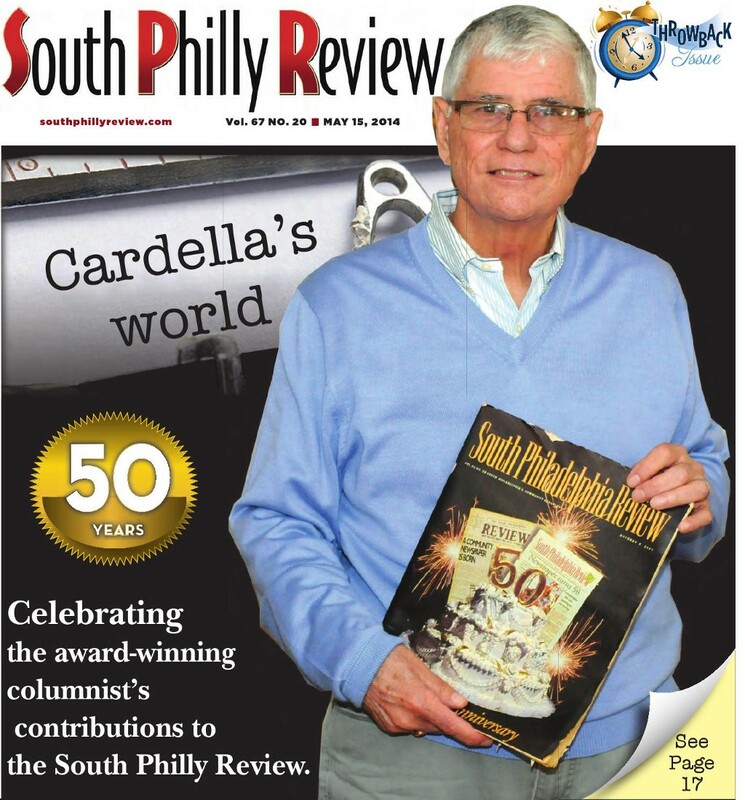 Happy 70th anniversary, South Philly Review!